When Tamara was here in February 2019, she shared the following text with her students. It is a great text, full of juicy nuggets of wisdom. Therefore I would like to share it here with you. It’s too valuable not to be shared!! The source of all problems is the mind. Thoughts arise, you identify with your thoughts and this, then, defines your experience. So many thoughts arise and you are lost in them obsessed with them without you even knowing it. So many worries and troubles constantly arising and repeating, and though you may not be aware of all of them, you are none-the-less identified with them. You are identified with the stress of it, the conflict of it and so that is your experience. But the thought repeats itself as a conflict until you resolve it. It sits on your shoulders like a hundred pound weight telling you life is not the way it is supposed to be until the toilet is fixed and then the stress will go away. And then the plumber says "I can't come until next Wednesday" and that hurts because you know you will have to carry around that thought, that conflict of "I have to get the toilet fixed" for another week. And there are thousands of them arising so fast ! Toilet fixed, doctor appointment, not enough money, your lover dumped you, you hate your job. You wake up in the morning from a state of deep peace and freedom from all identity and boom! The mind looks for something to identify with and there's the broken toilet, the doctor appointment, the empty space next to you that your lover used to fill, you hate your job, and you do not want to go to work. Thousands of others arise within seconds. And that's who you think you are, that is how you perceive life. Sure you get the good thoughts too but then that creates conflict and stress. You want one thought over the other; one experience over the other. And so the remedy is not to try and have one thought over the other, but to stop the identification with thinking all together. Whether through witnessing thoughts or placing your attention on what is here beyond thinking, it is to break that addiction of identifying with thoughts and rest as your natural state of being. To stop allowing thoughts to dictate your experience and instead discover what is truly here beyond the thinking. It is to realize your natural state. Because your natural state is love, your natural state is peace, your natural state is free of all of this, all of this. a state beyond what mind could possibly comprehend? And if you can taste that once, for one tiny instant, then you can do it twice. Then you can rest in your natural state for longer periods of time before being pulled back into thinking. And eventually, the duality between thoughts and peace ceases to exist. You begin to experience thoughts as energy. It's like you stop being involved with the lyrics to the song and simply enjoy the music, the simple beautiful joy of the music. The toilet still needs to be fixed but you're no longer wearing the toilet as if it were a hat. You exist completely free of all of it as unconditioned and unconditional changeless beautiful peace. Der gesamte Kosmos besteht aus 5 Elementen: Raum, Luft, Feuer, Wasser und Erde. Nicht nur in unserem Makrokosmos (äusserer Kosmos), sondern auch in unserem Mikrokosmos (Innenleben / innerer Kosmos) finden wir die 5 Elemente. Auf der Ebene des Körpers begegnen uns die 5 Elemente in Form von Knochen und Muskeln (Erdelement), Flüssigkeiten wie Blut (Wasserelement), innere Hitze, Schwitzen und Verdauungsfeuer (Feuerelement), Atem und Gedanken (Luftelement), sowie in Form von Hohlräumen in und um unsere Organe (Raumelement). Auf einer subtileren Ebene bilden die 5 Elemente unsere Denkweise, Charakter und unser emotionales Innenleben. Ausserdem: Jedes Element ist einem bestimmten Chakra zugeordnet. Das Element Erde ist das schwerste der 5 Elemente und ist mit dem ersten Chakra verbunden. Dieses Chakra repräsentiert unsere Wurzeln und beschäftigt sich mit unseren Instinkten für Überleben und unserer Stammeszugehörigkeit (Engl. Tribal belonging). Das Erdelement repräsentiert auch unsere Motivation zum Leben und das Bedürfnis, sich zu Hause zu fühlen. Um dieses Element in unserem Energiesystem zu harmonisieren bedeutet: Erdung, Stille und Stabilität finden. In dieser Folge erfährst du was es mit dem ersten Chakra auf sich hat und wie du dich erden kannst, wenn du zu viel Unruhe im Kopf hast. Wie kann man am Wurzelchakra arbeiten und es harmonisieren? "Unsere Beziehung zum Körper zu heilen bedeutet, unsere Beziehung zur Erde zu heilen. Unser Fundament zurückzugewinnen bedeutet, unsere Lebendigkeit zurückzugewinnen. Dies ist die Grundlage für alles, was folgt." Damit diese Festtage noch mehr Spass machen, haben wir speziell für dich und deine Freunde 4 Geschenk-Ideeen zusammengestellt. This pass is a X-mas Special and will only be available for purchase until the 27th December 2018. Would you like to flow more regularly in 2019? Then this special X-mas pass including 10 classes is the perfect fit for you. 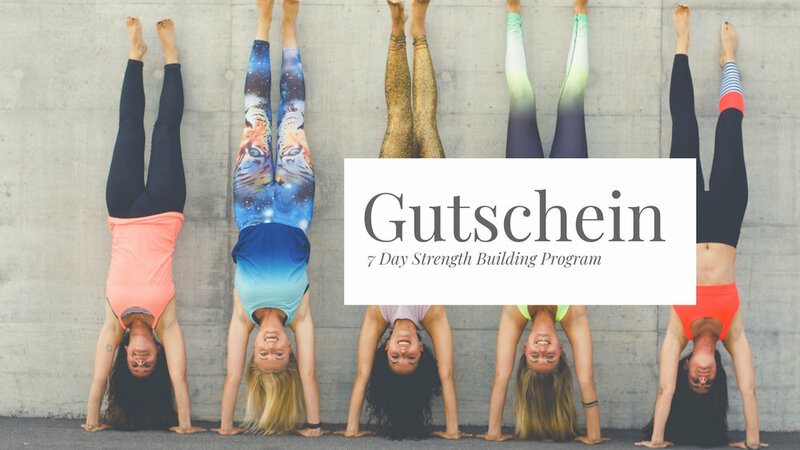 You get 10 classes & pay only 24 CHF per class (instead of 30 CHF). *POP UP YOGA is closed from the 22nd December 18 - 7th January 19. This class-free time has been factored into the 4 months validity of this pass. I am very excited to let you know that Tamara alias Cuchira will be here again next year (2019) for a 4 Day Movmeaent Intensive. This Intensive is part of our 250h Vinyasa Flow Yoga Teacher Training in 2019. In the 4 Day Intensive we dive deep into Self-Expression, Dance & Movement Therapy. It is a transformational, in-depth practice. Emotional memory is stored in the mind-body. It lives within every crevice of our being. MovMeant Therapeutic Arts releases the mind-body of stored trauma to bring forth healing through a felt sense creative process. Not all feelings can be expressed verbally. MovMeant supplies a safe space to explore our emotional landscape by physically moving our way into our internal aura. MovMeant will guide you towards reconnecting body-mind-soul by using various movement practices, explorative exercises, vocalization, breath and imagination to assist in your self-love journey towards a more peacefully connected you. Tamara Levinson was born in Buenos Aires, Argentina and grew up in New York City. At age 15, she represented the USA at the 1992 Olympic Games in Barcelona, Spain, in rhythmic gymnastics. Tamara’s versatility as a dancer, gymnast, rhythmic gymnast, aerial artist, contortionist and actress led her to having an over 20 year career as a working dancer. She danced on three world tours with Madonna, performed along side of No Doubt, Usher, Gwen Stefani, Rihanna and more. She has had the great pleasure of working with the legendary Twyla Tharp and continues to dance and choreograph for popular artists on stage, tv commercials and film. Tamara considers herself an artist of movement, where the creative mind is limitless, needs no labels, it's all just freedom of self expression. Tamara's new brand is called MOVMEANT. Because, you are meant to move! To register for the Intensive please send us an email & transfer 50% of the course fee to the account below. Please note THIS DEPOSIT IS NOT REFUNDABLE. You can give your spot to a friend, in case you can’t participate. But finding someone to take your place, is your responsibility. The rest of the course fee can be paid in cash on FIRST DAY of the Intensive. Wir ziehen am 24. Dezember pünktlich zu Weihnachten einen Gewinner und benachrichtigen diesen per Email. Der Rechtsweg ist ausgeschlossen. Melde dich gleich hier für deine nächste Yogalektion an! Fall is here - and I am so excited for this season to carry us into a calmer & more introverted time of reflection, nourishment and self-care. In the past few weeks, I've already started to slow down, sleep more and adding self-care rituals into my week. This is also our invitation to you at POP UP YOGA, as our theme of the month is balancing Vata (you'll find 3 tips for that here). Something I personally love doing to balance Vata - and just re-discovered recently - is reading poetry. Reading poetry is such a sweet delight to me. It grounds me, softens me and brings me more in tune with my "Yin", or moon side. In this letter, I would like to share a tender, yet powerful poem with you. This letter was sent to your inner circle in the beginning of October. Would you like to receive inspiration like this, too? Then sign up for my Yogic Wisdom Nuggets. Would you like to start yoga, but are a bit uncomfortable doing so in crowded group classes? Are you ready for serious lifestyle changes & a coach to guide you during this process? Have you been practicing yoga for a while now, but you still wonder about other aspects of yoga, like philosophy, energetic anatomy or proper alignment? Would you like to be guided through a regular home practice over 6-10 weeks by Deddou? Are you a yoga teacher & would like to get advice for teaching & learn about the do’s and don’ts of the business of yoga? If your answer is YES to one or more of the questions above, then private coaching sessions with Deddou might be the right choice for you. There is a 30min trial session, if you are a bit hesitant and would like to try an online 1-on-1 session before you commit to a package of several sessions. This trial session costs 50fr & you need a bit of space to move, a computer with wi-fi and a camera. Do you see the value in working closely with Deddou, experienced yoga teacher to bring the wide range of the benefits of yoga into your life. Would you like to practice yoga at home, but don’t know where to start? Are you totally new to yoga and would like to learn the poses correctly from the beginning? Would you like to be coached in your yoga practice and your overall lifestyle over a period of 4-10 weeks? There are 2 packages that are suitable for you if you’d like to do any of the above. After choosing a package, you and Deddou will set a appropriate schedule for you. You’ll also define a rough program for the duration of the coaching & an overall focus. Die Balance von Vata, Pitta und Kapha, also den 3 „Doshas" (Regelkräfte) im Ayurveda wird ganz gross geschrieben. Immer wieder versuchen wir die Eigenschaften und Qualitäten der dominierenden Elemente Luft, Feuer und Erde auszugleichen. Denn Ayurveda beschreibt die 3 Doshas als drei fundamentale Prinzipien, die in der äusseren Natur wirken, aber auch unsere eigene menschliche Natur durchdringen und somit alle physiologischen Prozesse steuern. Wir alle tragen eine individuelle Mischung aus den 5 Elementen Erde, Wasser, Feuer, Luft und Raum in uns drin. Sie beherrschen sowohl unsere geistigen als auch körperlichen Charakteristiken und Veranlagungen. Dies zeigt sich ganz konkret in unserer individuelle Konstitution, dem Temperament, den Vorlieben und Abneigungen, den eigenen Ernährungsbedürfnisse und vielem mehr. Vata bedeutet "sich bewegen" und führt die anderen 2 Doshas an. Gerät Vata in ein Ungleichgewicht, hat dies auch eine Auswirkung auf die anderen Doshas Pitta und Kapha. Ganz generell und einfach beschrieben ist Vata in unserem Köfper für die physischen und die psychischen Bewegungsabläufe zuständig. Typische Charakteristiken für Vata sind kalt, trocken, luftig und unregelmässig / wechselhaft. Deshalb wird dieses Disha oft mit unseren Jahreszeiten Herbst & Winter identifiziert. Jetzt stehen wieder warme und nahrhafte Speisen auf dem Speiseplan. Z.B. Eintöpfe, Nudelgerichte, herzhafte Gemüsesuppen, Linsen, Nüsse & Mandeln und eingeweichte Trockenfrüchte wie Datteln Rosinen oder Feigen. Weiche Kleider in Erdtönen und milden Pastelfarben beruhigen Vata. Um dem kalten Vata entgegenzuwirken ist es angenehm, wenn du dich bewusst an warmen Orten aufhaltest. Am Abend oder auch am Morgen kannst du dir zudem vor dem Duschen oder Baden ein wohltuendes Winterrital gönnen. Dies geht ganz einfach: Benutzt ein Öl aus Sesam, Mandeln oder ein extra Vata-Öl und verwöhne dich mit einer Selbst-Massagen (Abhyanga). Lass das Öl für ein paar Minuten in die Haut einziehen. Spühle es danach in der Dusche wieder ab. Wirkung —> Diese Selbst-Massage hat eine besänftigende Wirkung auf dein Nervensystem, kräftigt den Kreislauf und hilft, Toxine aus dem Körper zu transportieren. Um in guter Balance zu bleiben ist viel schlaf wichtig! Vor allem, wenn man dazu tendiert sich bis zur psychischen oder physischen Erschöpfung zu pushen. Achte ausserdem darauf jeden Tag zur gleichen Zeit aufzustehen und ins Bett zu gehen. Für ein ausbalanciertes Vata ist eine Routine übrigens auch sehr wichtig. Achte auf einen regelmässigen Tagesablauf. „Yoga und Ayurveda“ im PKZ WOMEN Loft ist eine Event Serie, welche bis Ende Jahr 3 Mal stattfindet. 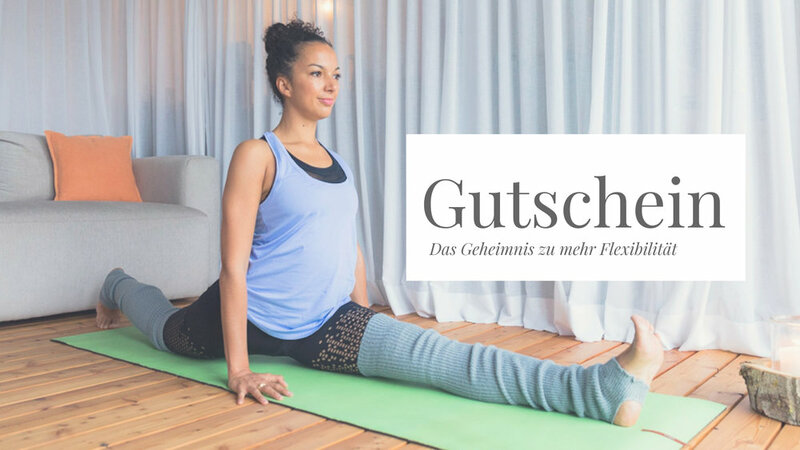 Sie besteht aus einer Stunde Yoga mit Deddou mit einem 30-minütigen Ayurveda Vortrag von Stephanie im Anschluss. Wie du durch Yoga und Ayurveda zu mehr Ausstrahlung, Wohlbefinden und sogar einer schöneren Haut kommst. Ayurvedisch gesehen sind Öle in dieser Jahreszeit essentiell, um die Haut strahlen zu lassen. Welche Öle durch die Nahrung eingenommen werden sollten, und welche äusserlich angewendet deine Haut pflegen, werden wir in dieser Session besprechen.